Discussion in 'General Airgun Chat' started by Grayling, Jul 15, 2009. 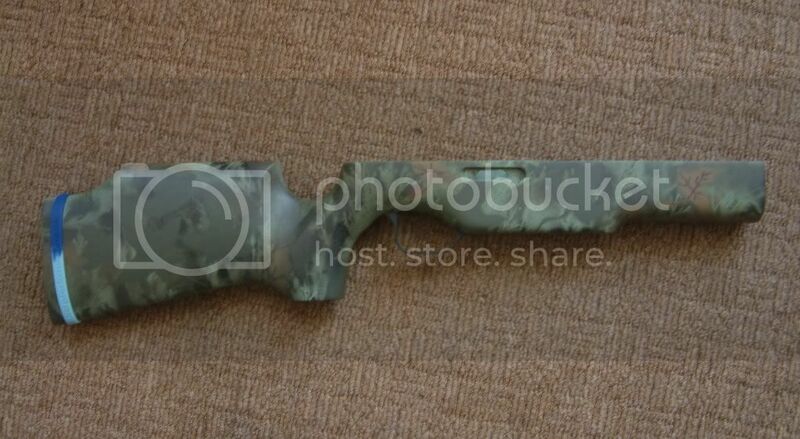 Paddy Egan( Pad E) on the AirgunBBS has cammo painted a Super10 Stock that will fit either MK 1 or MK 2 BSA Super 10's and should fit the MK 3 but the for end is different on this model so I'm not sure on the latter. 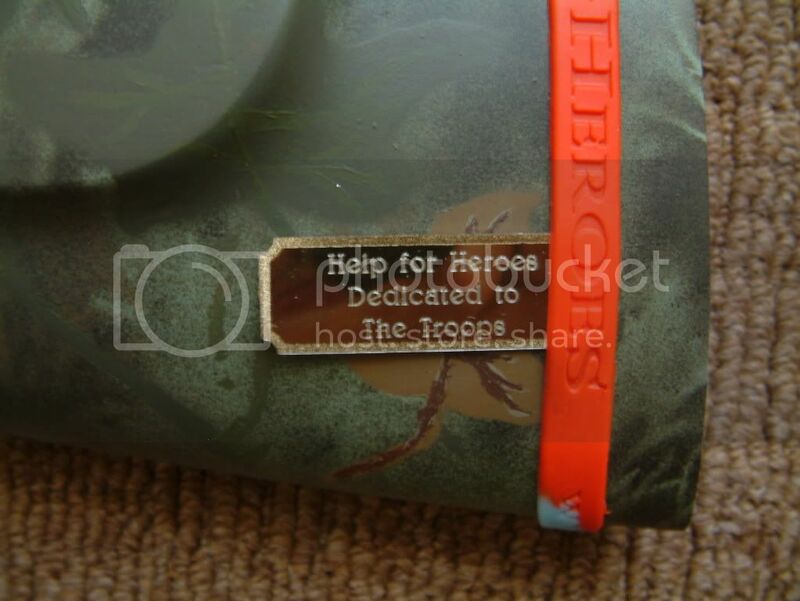 This is a lovely paint job as we've come to expect of Paddy and he has generously allowed me to put it up for (CLOSED) auction with any money raised going to Help 4 Heroes which must be surely recognised as a very worthy charity especially in light of the sad scenes at RAF Lynham in Wiltshire yesterday. 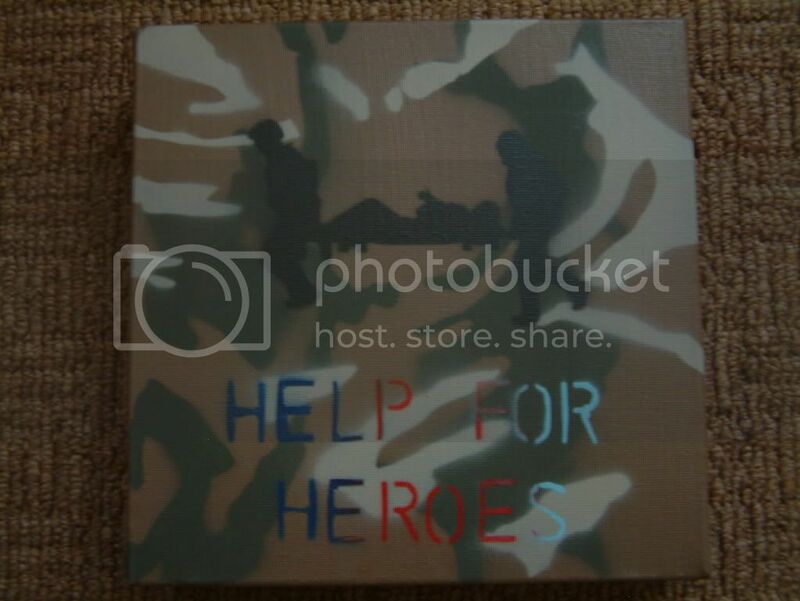 Paddy as also produced some beautiful H4H canvases for the above charity in either standard DPM or Desert cammo. These are very reasonably priced and Paddy has already donated the proceeds of a number of these canvases to the H4H charity. 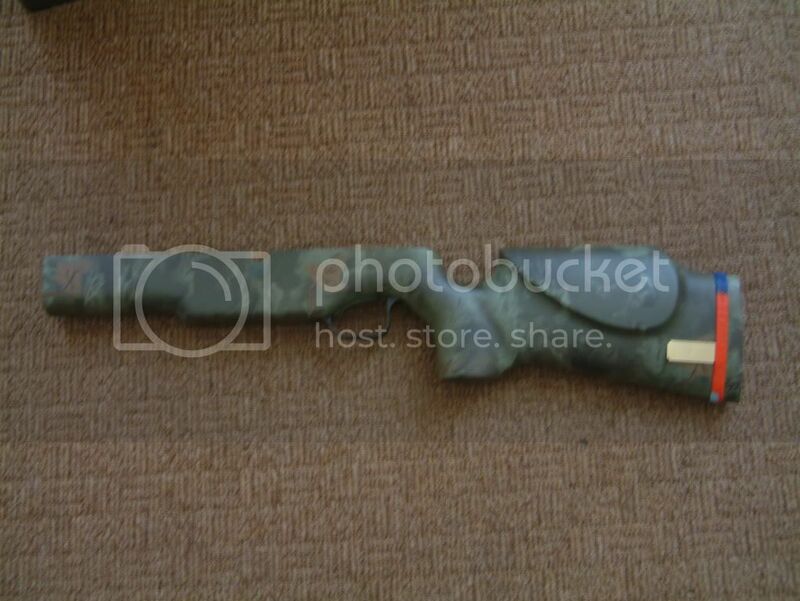 The brass plate pictured with the stock is unique and part of the sale. Anyone interested in a H4H canvas please PM Pad E on the AirgunBBS or Fort forums. Remember lads there are many many many deserving causes and charities out there at present all wanting your hard earned cash. But the above charity supports wounded British servicemen and women OUR COUNTRYMEN AND WOMENand in this case you are getting something for your money a beautiful piece of Paddy's skill. Because it is a closed auction it will be on three of the main forums.